With just 1-click you can securely donate to our non-profit charity. All proceeeds go to those who need our help. Climbing can provide some light in the dark for those who are grieving and who are suffering from depression or any other form of mental illness. It's not a cure but focussing on something enjoyable and all-encompassing can provide relief from the pain and anxiety that people experience. 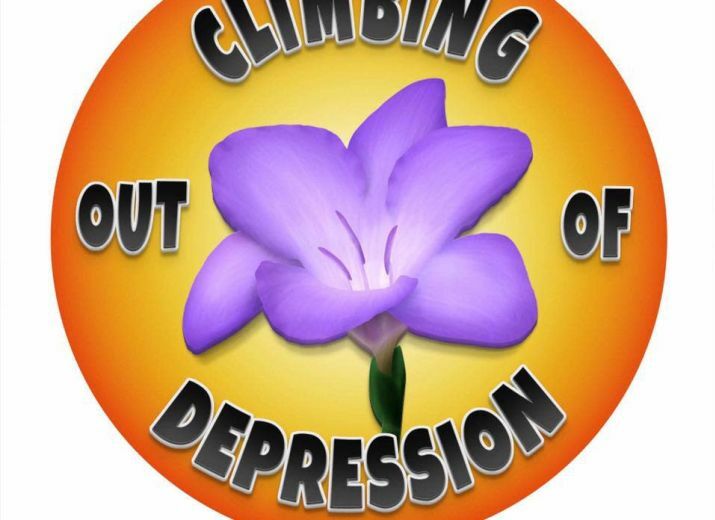 Climbing Out of Depression aims to reach individuals in need of support and provide an activity that creates structure, teaches new skills and team work and provides relief and distraction. To provide a service to anyone suffering from any form of depression. To lease with councillors and other charities, hospitals, schools etc and offer climbing as an activity that is know to improve ones mental health. Offer heavily discounted or free sessions to those referred to us to learn to belay and climb with others in similar situations. We will aim to have a trained psychologist present at these sessions as well as the qualified instructor, to help, advice and support if necessary. Funding will pay for the organisation of these sessions, instructors, helpers and to pay the climbing walls. For LucyxLucy 400 route awesomeness! I think 10 routes is a marathon! Well done. crystal & Tobias, Kate & Alex will done on all those routes! If "Climbing out of Depression" stops even one family going through what my dear friends the Kempy's have, it will be the best £50 I have ever spent! Good luck Kate! A really worthy cause. Amazing job Kate - 10 hours and 100 routes?!? Brilliant charity Belinda. Good luck with it all.